Adventures in Anhedonia: Live Cruelty-Free! Animal testing, particularly for personal products and household chemicals, is one of the most repugnant things I can think of. It is so unnecessary, and there are far better ways to test these items. The only reason animal testing is so endemic in consumer testing is the fact that, as an established methodology, it tends to be cheaper and easier for the manufacturers. They don't care that it produces less accurate results that are less effective and less indicative of the safety of a product. But you should care! Even if you aren't interested in switching to cruelty-free products for the morality of that choice, you should still seek them out because these products have been tested using updated methods that are superior in every way. For example, some laboratories use artificial or cultured human skin cells for testing, and you can be certain that their results will be more aligned to the human end user than testing on a species that isn't even in the same taxonomic Order. I won't describe to you the utter horror involved in animal testing. I can barely stand to think of it with out breaking down, and I'm trying to reinforce my exhortations positively. But I will tell you that it is a life of isolation, confinement, fear and pain. 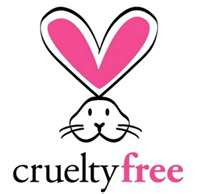 PETA has a great online resource for finding cruelty-free consumer products. They break it down by company and by category. Fortunately, it's getting easier and easier to find items that haven't been tested on animals without having to go to a specialty store. Always check the labels of the products you are considering. If they don't indicate "Not tested on animals" or "Cruelty-Free," then they probably are animal tested. The method company makes some of the best cleaning supplies, and almost all of the cleansers I use come from them. I also use their hand soaps and body wash and wonderful laundry detergent. I buy their products at Target and Kroger. Seventh Generation makes a great line of eco-friendly paper products. They also sell great cleaners and other chemicals. They have an exceptional automatic dishwashing detergent and "oxy-clean" laundry supplement. I buy their products at Target. TheraBreath makes an exceptional line of toothpastes, floss and mouthwash. Not only are their products cruelty-free, but they are a powerful cure for the embarrassment of halitosis. I buy their products at Walgreens. One of the original cruelty-free product lines. I buy my deodorant from Tom's of Maine. I buy their products at Kroger stores and Walgreens. While I am not a vegetarian myself, I have nothing but respect for the vegetarian and vegan lifestyle. I probably would be a vegetarian if it weren't for the fact that I despise vegetables. (I'm a picky eater to the degree that it's a social handicap.) I do try to limit and be mindful of my carnivorous intake, ideally striving for free-range, non-factory meats. However, you don't have to be a vegetarian or a vegan to embrace a cruelty-free lifestyle when it comes to your personal products and household chemicals. PLEASE CONSIDER making the switch today...It's easier than you might think! Always adopt! Don't Buy! Don't Breed! There Aren't Enough Homes! Spay or Neuter Your Pet!